In wake of weak fourth quarter results, Samsung is already aiming to rebound and combat sales lost to low cost Chinese rivals. 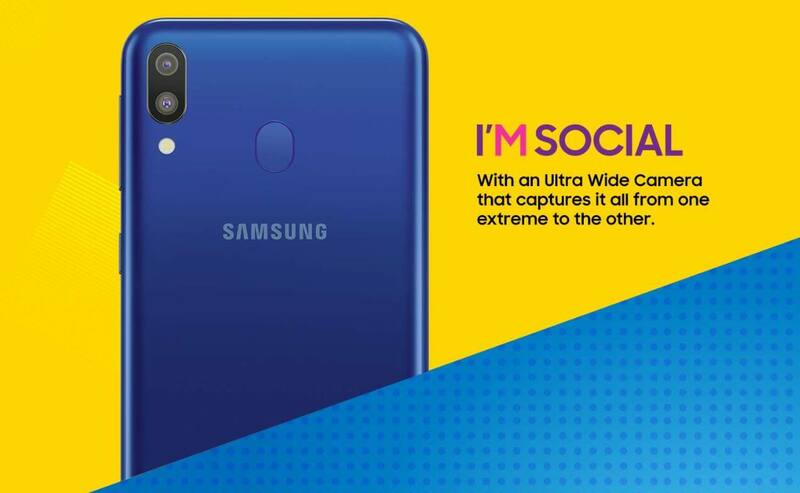 Samsung's new Galaxy M series expected to contain three models has appeared on Amazon India to cater to markets desiring mid-range hardware at affordable prices. Although specifications are not yet available, images clearly show some key features. Samsung has given in to the notch trend with a teardrop cutout for the front facing camera. Dual rear-facing cameras and a properly placed fingerprint reader adorn the back. On the bottom, there is a USB-C port that will support some form of fast charging. Fast charging may be excluded from the base model within the series and kept only to the phones with larger batteries. Names are believed to include the Galaxy M10, M20, and M30. Just like Samsung's other more expensive models, the Galaxy M series will retain the 3.5mm headphone jack. Perhaps the Galaxy M series is not a very exciting smartphone launch as all of the tech being seen is available in other devices, but it is a critical deployment for Samsung. Sales in India reached $5.3 billion over the last 12 months and are expected to significantly increase over the next year. The Galaxy M series will by and large be made in India and will sell between 10,000 and 20,000 rupees, equivalent to $141.80 to $283.60. An official launch is set for January 28. Amazon will begin notifying customers within the coming days of when pre-orders will go live. I just LOL at how China has stolen every piece of technology that the greedy fools in first world nations handed them to produce on the cheap. How could the captains of industry in developed countries ever think this wouldn't happen? Also, have you noticed how nearly every product meant for a particular developing market is actually MADE in that country or region? That's because Asian counties are very nationalistic and protective of their economies - even Japan is no exception. Unlike the geniuses on Wall Street and its Euro equivalents who control our governments, Asian regimes nearly always require foreign manufacturers to produce their goods within the borders of the country their products are meant for. They also deflate their currencies by fiat which insures a never-ending supply of poor workers which keeps foreign investment rolling in. Would you remind me who - demonstrably - stole everything from the Chinese? From silk to black powder... Without the Chinese there wouldn't be much. It was probably only Marco Polo, single handedly. So, no national conspiracy there.